The Norwegian Technical Calculation Committee for Wage Settlements (TBU) discusses the “real financial situation” and identifies the room for manoeuvre ahead of wage negotiations, in light of competitiveness and a just division of incomes. “For me, the Technical Calculation Committee represents the core of the Norwegian model,” Minister of Labour and Social Inclusion Anniken Hauglie said in her speech at the TBU’s 50th anniversary. “I can’t imagine what it would be like to negotiate if we disagreed on the facts,” the Director General of the Norwegian Confederation of Norwegian Enterprise told the Nordic Labour Journal. 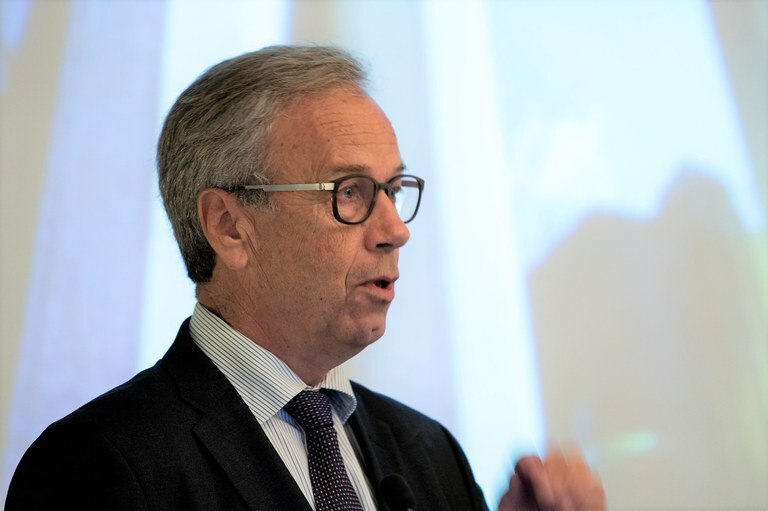 “TBU has clearly played a very important role when it comes to creating a shared understanding of finance policies,” summed up Øystein Olsen, Governor of the Central Bank of Norway. 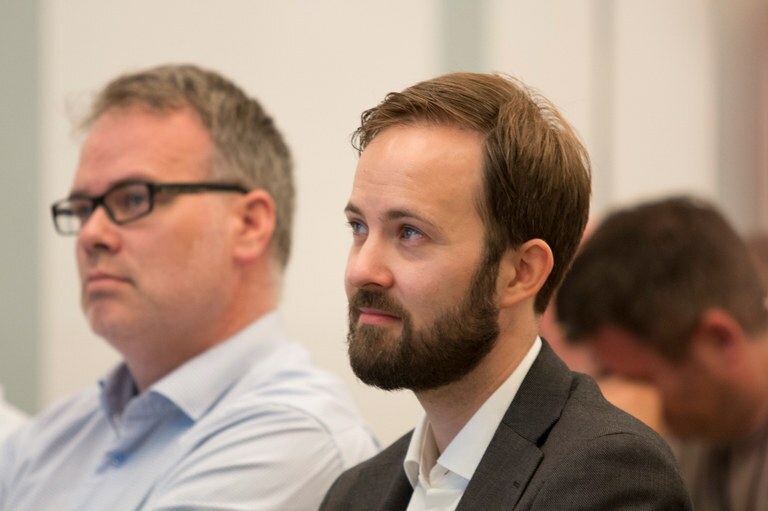 The Ministry of Labour and Social Affairs has asked Eivind Thomassen and Lars Fredrik Øksendal to write the history about the TBU. The book’s title is ‘Model builders. The Technical Calculation Committee for Wage Settlements 1967 – 2017’. “It has been important for the social partners and the society as a whole to have a committee with professional gravitas which prepares the ground for Norway’s wage negotiations, so that the partners do not need to spend much time to discuss facts when they approach the wage negotiations,” the Minister for Labour and Social Inclusion Anniken Hauglie told the Nordic Labour Journal. The Director General of the Norwegian Confederation of Norwegian Enterprise, Kristin Skogen Lund, says Norwegian businesses agree. She believes what has been learned from the TBU can be useful to others too. “I think there is much to learn here, because the TBU works extraordinarily well. We have very good facts which we can trust and which allows us to make very good estimates. I believe it allowed us to adjust the course very rapidly when we saw the fall in oil prices. “The Committee’s role is linked to the coordination of wage formation which we have had in Norway,” says Øystein Olsen, Governor of the Central Bank of Norway and head of the TBU between 2005 and 2010. “If you jointly agree on the basic facts, you have brought the social partners a lot closer to coordinating the wage formation while focusing on the issues which are important in a small and open economy like Norway’s. That is one way of describing the Committee’s role." The Committee follows the hovedkursteorien, what does this entail? “This basically says that Norway is a small and open economy, and since we compete in an international marketplace, foreign cost developments will have strong effects – which to a certain extent should determine what kind of cost development and wage development we should expect at home. That is the brief version. Øystein Olsen headed the committee between 2005 and 2010, and is in no doubt about its importance. Since 2000, Professor Steinar Holden at the University of Oslo has led three committees looking at the coordinated wage formation. He also underlines the important role the TBU has played and continues to play in the wage formation. “The TBU helps coordinate the wage formation. The fact that the Committee establishes a joint understanding of the situation based on professional arguments, helps create trust between people and organisations. “Coordination is also important in order to make the economy more adaptable to shocks, like the one we saw when oil prices fell in 2014. “Coordination probably leads to increased investments and higher productivity and better solutions in the labour market, and it builds trust. Trust is a symptom of the fact that there is a reason to have trust,” argues Holden. Steinar Holden also notes that Norway is not alone when it comes to having coordinated wage formation. Sweden and Denmark, for instance, have a frontfagsmodell similar to the one you find in Norway. This model allows competitive industries to negotiate first, and the result then forms the norm for the general wage growth. Denmark has a statistics committee which is similar to the TBU. Sweden has a slightly different model. The Swedish National Mediation Office is in charge of wage statistics, while the social partners are responsible for describing the financial situation. The Technical Calculation Committee creates a joint understanding of the basic facts. It is then up to the social partners to negotiate wage and labour conditions. The frontfag industries go first. That means competitive industries negotiate first and create a norm for coming negotiations. Since the beginning in 1967, the social partners comprised the Norwegian Employers’ Confederation (N.A.F. ), later the Norwegian Confederation of Business (NHO) on the one side, and the Norwegian Trade Union Confederation (LO) on the employees’ side. From 2000 all the main employers’ and employees’ organisations were included. Before 2000, changes in the labour market and the big occupational groups which had emerged were not included in debates on the Norwegian economy and the room for manoeuvre the social partners had agreed should create a framework for the coming wage negotiations. This irritated those who were kept outside. ‘The continuity in this model is unique for Norway,’ write historians Eivind Thomassen and Lars Fredrik Øksendal in the book they have called The Model Builders. “It reflects the fact that one of the central questions we try to answer is whether the Calculation Committee has contributed to maintain certain model characteristics of Norway’s coordinated wage formation, primarily expressed through the frontfagsmodellen. Since we do not put a question mark in the title, we indicate that the Committee more or less has contributed in this manner,” Lars Fredrik Øksendal tells the Nordic Labour Journal. What level of support does the model enjoy today? “It is probably stronger than ever. Widening the frontfag term to include industry white-collar workers has been important for creating legitimacy within organisations which have been outside of the traditional LO/NHO symbiosis. The 15 good years preceding the oil price drop, with historically strong real term wage increases for broad groups of people, no doubt reduced friction and increased support for the model." The Technical Calculation Committee normally publishes two reports annually, one Norwegian public report (NOU) ahead of the wage negotiations. The report details wage and income developments, price developments with a prognosis for the price development during that year and the development of competitiveness. The report also sums up developments in the international economy and the Norwegian economy. Another report sums up developments after the wage negotiations. TBU, The Norwegian Technical Calculation Committee for Wage Settlements, was established in 1967, headed by Odd Aukrust, a social economist and head of Statistics Norway’s (SSB) research department. During his reign the Committee was known as the Aukrust Committee. The frontfagsmodell was established as early as in 1966, and the terms protected and competitive industries were launched. When Aukrust retired in 1984 after 18 years at the helm, Arne Øien, Director General at SSB, took over. He led the Committee for less than a year before becoming Minister of Oil and Energy in Gro Harlem Brundtland’s second government. SSB’s Director General Svein Longva then led the Committee for eight years before becoming State Conciliator (Riksmeklingsmann). The Committee was led by SSB’s Director General Øystein Olsen from 2005, until he got the job as the Governor of the Central Bank of Norway in 2011. Today’s leader, previously Director General and now director of the research department at SSB, Ådne Cappelen, took over in 2011. There have been five leaders in the Committee’s 50 years of existence. All have been social economists from the University of Oslo and Director Generals at SSB. The same parties who helped prepare the ground for the Calculation Committee’s work were speaking during the 50th anniversary: Statistics Norway, the social partners, social economic expertise and the authorities. The TBU’s work has been influenced by the social economic milieu around Statistics Norway, the Department of Economics (NTNU), the University of Oslo and the Ministry of Finance. The social partners are also represented with their social economy expertise. The Ministry of Labour and Social Affairs appoint the Committee members and houses the administration. Members are appointed for three years. According to professor Steinar Holden, the Committee’s debates are rich in professional argumentation and trust between people and organisations. This also provides an important basis for other committees.